Get a leading edge on your planting with Sunflower® tillage equipment from Alliance Ag Equipment. Their innovative design and patented blades give you more precision in the field, which means more profit in your pocket. 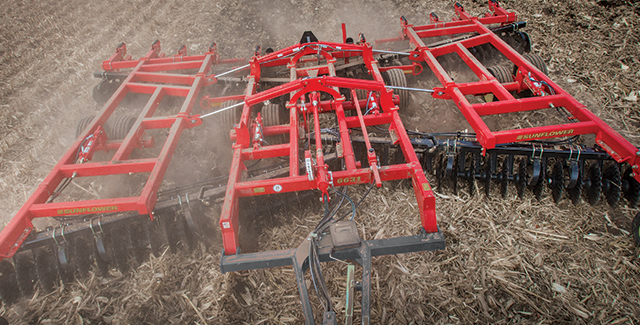 Higher yields are in your field with Sunflower tillage tools. They’re known for their durability and made for enhanced seed-to-soil contact in any soil type, so you benefit from all-around better yields.